If you’ve ever grown eggplant, you probably realize that supporting eggplants is imperative. 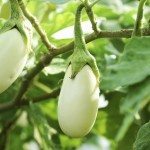 Why do eggplant plants need support? Fruit comes in several sizes depending upon the variety, but staking eggplants regardless of size will also retard disease while allowing for optimal growth and yield. Read on to learn about eggplant support ideas. 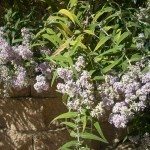 Do Eggplant Plants Need Support? Yes, it’s wise to create a support for eggplants. Staking eggplant keeps the fruit from touching the ground, which in turn, reduces the risk of disease and fosters fruit shape, especially for elongated eggplant varieties. Eggplants are also prone to falling over when heavily laden with fruit, so supporting your eggplants will protect them from potential damage and fruit loss. Staking eggplant also makes for easier harvesting. Eggplants are botanically related to tomatoes, with which they pair beautifully. Eggplants are native to India and China but were brought to southern Europe and the Mediterranean by Arabic Traders. Luckily for us, they were then introduced into North America. Eggplants are delicious stuffed and hold up well on the grill. Eggplants are bushy plants with large leaves borne on woody stems. Some varieties can attain heights of up to 4 ½ feet. Fruit varies in size with large fruited cultivars over a pound in weight while the smaller varieties tend to be especially heavy bearers. For this reason alone, providing a support for eggplants is vital. Ideally, you want to stake eggplant when it is small — at seedling stage when it has a few leaves or at transplanting time. Staking requires a support that is 3/8 to 1 inch thick and 4-6 feet long. This can consist of wooden or metal rods coated with plastic, but really anything can be used. Maybe you have something lying around that can be repurposed. Drive a stake of any type an inch or two away from the plant. Use garden twine, old laces, or pantyhose looped around the plant and the stake to support it. You could also use a tomato cage, of which there are several types. 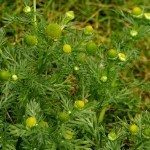 If you’re of the forgetful ilk or tend to be lazy, then it’s likely that your plants have reached a size that is rapidly getting out of hand and you haven’t staked them. You can still stake the plants; you just need to be a bit more careful. In this case, the stake should be about 6 feet long because you’ll need to get 2 feet into the soil to support the large size of the plant (you may need to use a mallet to get the stake down that deep.). This leaves you 4 feet to work with staking the eggplant. Place the stake 1 to 1 ½ inches near the plants and carefully begin to pound into the ground. Try the other side if you meet with resistance. Resistance is likely the root system of the eggplant and you don’t want to damage it. Once the stake is in the ground, tie the plant back below any stems or branches. Don’t tie too tightly, as you may damage the plant. Leave a little slack to account for growth. Keep checking the plant as it grows. You will most likely have to continue to tie the plant back as it gains in height.